A Chino emergency dental clinic is like any other clinic in basic function. 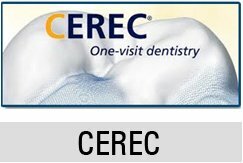 It is a healthcare facility, of any given size that receives patients who have concerns about their teeth. The need may vary from preventive, corrective to therapeutic, and at times, the need will present some kind of danger and risk. While most dental clinics are built to handle emergencies, an emergency dentist Chino will be more adept in these situations because like medical doctors who are on duty in the emergency room, he has received special training to attend to these conditions. He is no ordinary dentist and his clinic may look like an ordinary dental clinic, but it is not. The Facilities: The facilities will, more or less, be the same as a regular dental office. There is a reception room and a treatment room with one or more dental chair units. Unlike a normal dental office it may have an operating room and a recovery room, for surgical procedures, so that the patient will be cared for properly. The Staff: The members of the dental staff will be as expected—but they will be, like the dentist, trained to attend to certain dental emergencies. They are highly skilled and are competent, so you can rely on them to know what to do when you are in need. Right from the moment you enter, you will already be received with great care and support—and at the completion of your treatment, you will be released, rest assured that proper support will be provided to you, even after you leave the office. The Hours: The hours will be different from a normal dental office. A normal Chino dentist will have definite work days and clinic hours, so they more or less dictate their schedules, but with an emergency dentist, Chino patients can rely on more flexible work hours. The clinic will either be open 24/7 or the Chino dental office will be closed but the dentist will work at an on-call arrangement so that he can be summoned if there is a need. A normal dental office and an emergency dental clinic is one and the same, in several aspects, but it is highly specialized in the sense that it is more than equipped to handle emergency cases.